Packaging Details : We usually pack each tools into poly bag and several poly bags into an inner carton and then these several inner go inside one master carton making sure the product is safe, Alternately you choose packing according to your need and want. Packaging Details : As customer's requirements. 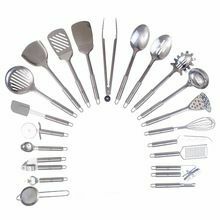 We are offering stainless steel kitchen tools, serving spoon serving ladle serving spatula / cake server serving fork basting spoon / cooking spoon soup ladle skimmer turner slotted spaghetti / pasta spoon sauce ladle fish fork. We are working with a team of deft professionals who manage the entire task proficiently and lay special emphasis on product packaging so as to ensure safe and secure deliveries. Our team of quality analysts ensures that the offered product is of unmatched standard and free from any kind of flaws. 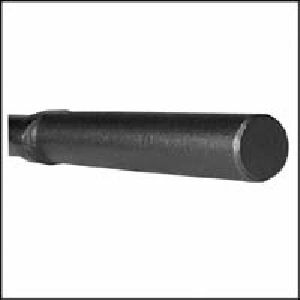 Ours is a well-recognized firm based in Haryana(India) and appreciated for offering qualitative products and that too at the best market prices. Buy from us the extensive array of Stainless Steel Kitchen Tools; we are counted amidst the leading Suppliers in the sphere. 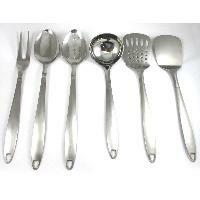 Our array of kitchen items include houseware, flatware and tableware items. 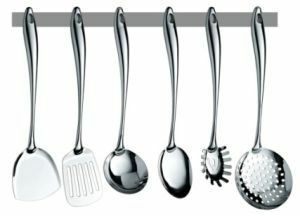 Canister, colander, dispenser are some of them. 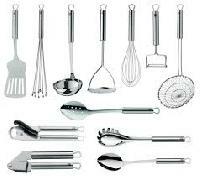 We Offer Stainless Steel Kitchen Tools. 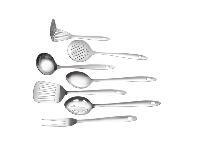 includes Spoon, Deep Ladle, Turner, Oval Spoon. We are a reckoned name, involved in offering quality-centralized products from Noida(India). 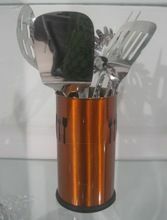 Owing to our excellent supplies in Noida (India), we efficiently make on-time deliveries to the customers. 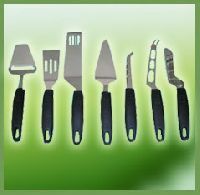 As a supplier of kitchen tools, we make cutting edge quality products. 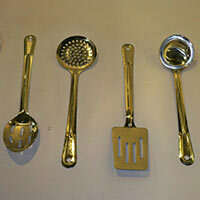 We have tableware tools like trays. Also platters, jugs, etc. 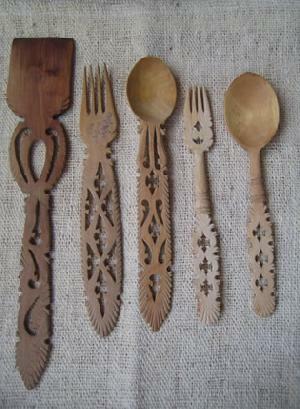 Flatware like spoons, etc can also be purchased. 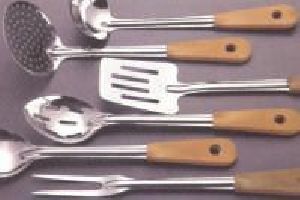 We are offering stainless steel kitchen tools. 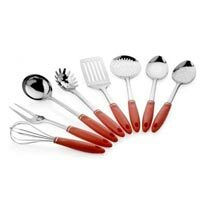 Our varied variety of kitchen equipments include canister, trays, cookers, etc. 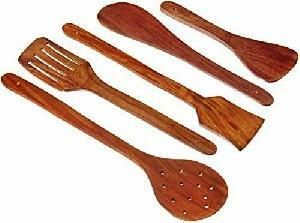 Also, we have platters, handi and jugs. We deal in all kind of containers, tawa and kadai. From rectangular to circular, all shapes are available. 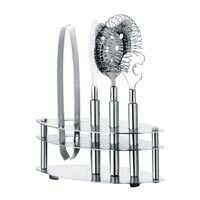 Find here stainless steel chafing dish too. These chafing dishes are very durable. Different kind of jug too can be availed. 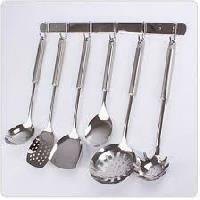 We are offering stainless steel kitchen tools like ladle, skimmer, fork, spoon, slotted spoon, turner, etc. 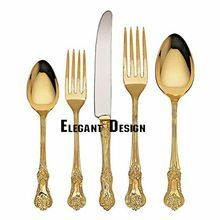 We deal in all houseware, flatware, tableware items of kitchen. 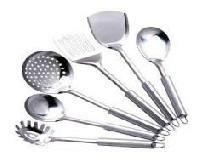 Our colander and strainer are up to the mark. 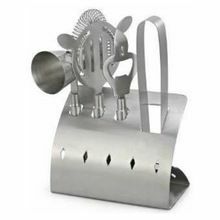 Roaster, dispenser, etc are also supplied. Bucket and kitchen baskets made of different materials can be availed. 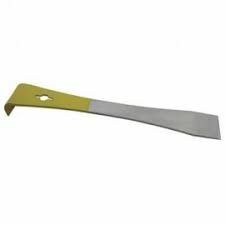 Knives for cutting with sharp ends too are available. 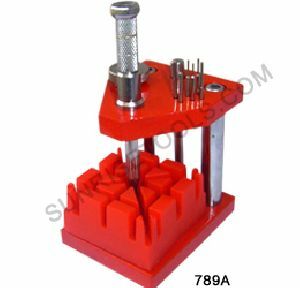 This unique tool is useful to remove stubborn links and spring bars. It contains several different pins, and can be used with any type bracelet. 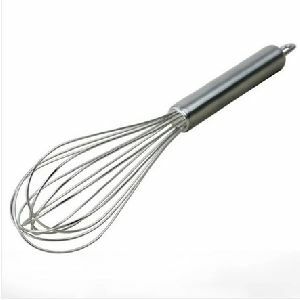 It also has a screwdriver for screw type spring bar removing.